We've covered an awful lot of anime and sort-of-anime projects being greenlit by Netflix lately. But they aren't the only game in town. The anime streaming site Crunchyroll is getting increasingly involved in production and recently announced plans to team up with Turner's Adult Swim to create and distribute content. 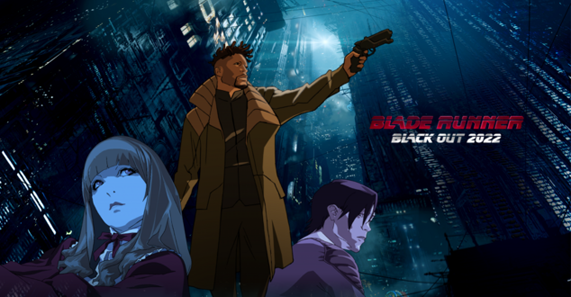 The first series to emerge from the partnership is Blade Runner: Black Lotus, an animated series based on the iconic sci-fi property. The series follows the success last year's anime short Blade Runner Black Out 2022, directed by Cowboy Bebop creator Shinichiro Watanabe. Watanabe is credited a creative producer on the series, with episodes set to be directed by Shinji Aramaki and Kenji Kamayama. Animation production is by Tokyo's Sola Digital Arts. The company is best known for producing 3D CGI animation but were also responsible for the Black Out 2022 short, which was a stunning piece of 2D animation. If this series is made in the same style, it should be very exciting indeed. The order is set for 13 episodes initially and will take place in 2032 between the original Blade Runner film and its sequel Blade Runner 2049. Adult Swim will air the series with an English dub in the United States and Crunchyroll will stream the series internationally.